Well the Australian International Motorshow begins next week and as always Shannon’s will be holding their annual motorshow auction in Sydney’s Convention Centre in beautiful Darling Harbour. 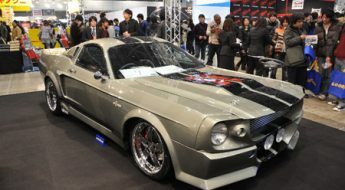 Last year saw, if my memory stands, a 1967 Shelby GT500 and a 1968 Shelby GT350 go under the hammer. 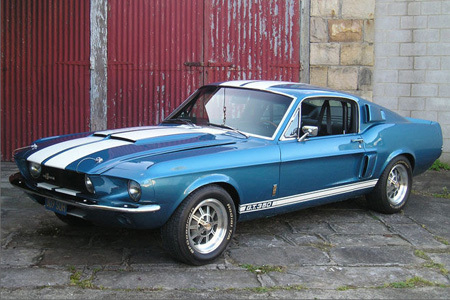 According to the Shelby American World Registry, Shelby GT350 #02654 was originally leased to Robert Holobough before being sold to K.P.Bengston of Manhatten Beach, California on the 8th of August 1967. 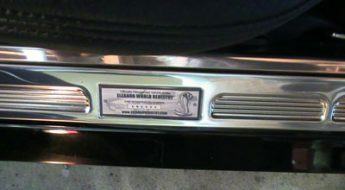 The car has a well-documented history, with old registration forms tracing past owners back to 1982. The Shelby remained in the USA until earlier this year, when the present owner located the car in California and imported it to Australia. Before leaving the America, the Shelby was completed restored and is now in immaculate condition throughout, with excellent paint (in the original Acapulco Blue) and black upholstery. Complementing the appearance are the desirable and correct 15-inch aluminum 10-spoke wheels. The car retains the original engine block and has been correctly restored. The vehicle is to be sold unregistered, with a New South Wales blue slip supplied upon sale. Accompanying the car is a Marti report and a history file, including copies of the original production order, lease agreement and other relevant information. The auction takes place on the last day of the motorshow on the 21st of October.